Posh Nosh is a well-established and versatile business dedicated to giving outstanding levels of service and product. We pride ourselves on being at the forefront of wedding cuisine and create bespoke menus from classic, elegant dining through to contemporary, rustic sharing dishes. Our team go out of their way to listen to every client’s individual needs in order to meet all of their expectations and more on their big day. What is your favourite thing about being involved in the wedding industry? The exciting build up to a couples big day (particularly the lay up the day before) and seeing everything come to fruition. There’s no better feeling than looking around a room or marquee full of happy wedding guests all enjoying the food, and it’s also really lovely when we receive a thank you letter from the happy couple after the wedding to say how happy they were with the service they received. 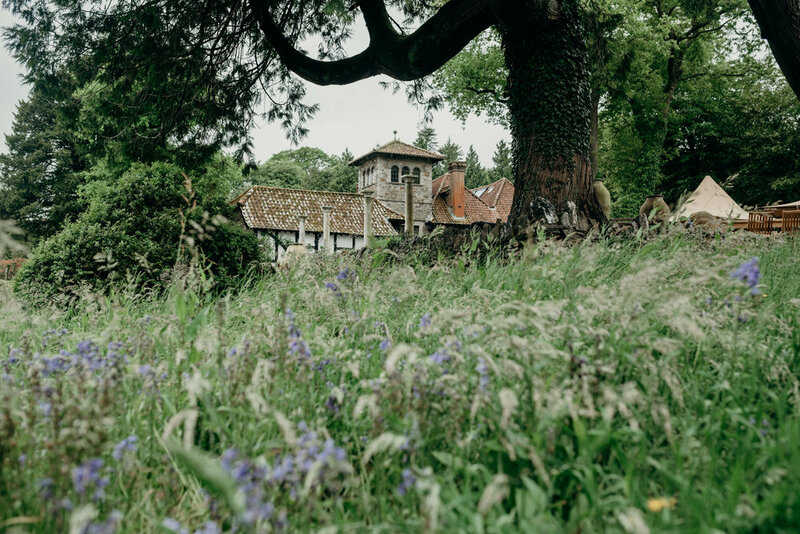 Can you describe Coombe Trenchard in three words? What meal do you feel best fits Coombe Trenchard’s unique atmosphere? Elegant Dining or Rustic Table Sharing Platters. What advice would you offer bridal couples when choosing their caterer? Look for experience and quality over cheap deals- there’s a reason for the saying ‘you get what you pay for’! And after hearing some stories from couples, if you receive poor or little communication from your caterers at the beginning, it tends not to bode well for the rest of the working relationship. What is your favourite thing to cook/serve to bridal couples? This is difficult to answer as we have so many options and styles of dining and we are forever creating bespoke dishes to fit in with our couples requirements. But if we had to choose one, you can’t beat a traditional, formal, plated meal as it looks so aesthetically pleasing when everyone’s dish is exactly the same on the table- we particularly love doing a trio of desserts! How should bridal couples choose from the amazing options on your menus? 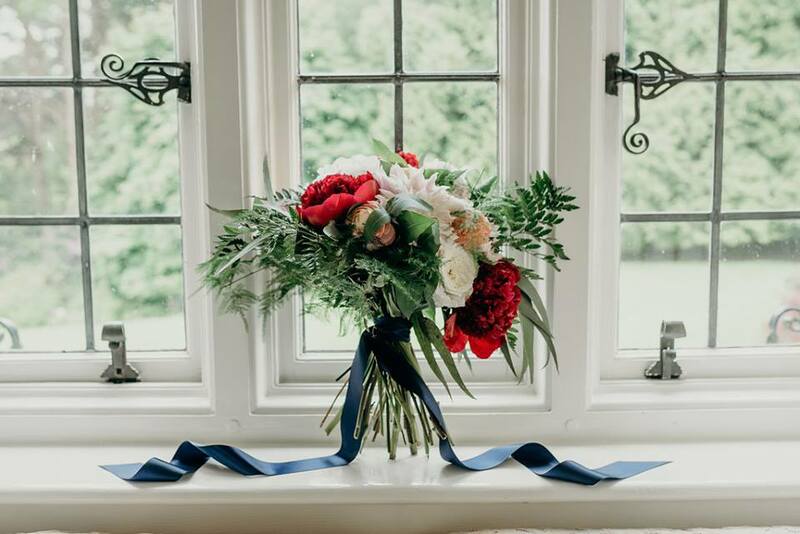 We would advise the couple to speak directly to our team of dedicated Event Coordinators, who can then get a real feel for their wedding day and advise on specific menus to fit in with their style, theme and personalities. Our team can then look to book the couple in for a private tasting at our HQ where they can go over every element of every dish in detail with our head chef and event coordinators and tweak things to create a menu absolutely perfect for them. Do you get involved in serving drinks at all? Yes, we can provide drinks service from reception drinks through to the toast, and we can provide a ‘free evening bar’ service (including bar front and bar fridge). What size catering marquee/kitchen space to you require? Finally, what excites you most about your job? Sometimes we will be in the middle of a field and a challenge will arise and our team will have to think on their feet to solve it and that can really get the blood pumping! After 30 years in the industry you can imagine how many obstacles we’ve had to tackle (including the collapse of a marquee roof in a rainstorm half way through main course!) and luckily them team are excellent at solving problems on the spot and solving them well! But generally it’s just really exciting to work with couples on the build up to their big day, getting as excited as they are on the day and receiving good feedback after the event- we love to be a part of something so special and we get to see some of the most beautiful places the South West has to offer and put smiles on hundreds of faces, we are very lucky people! You can find out more about the mouth-watering delights of Posh Nosh by browsing their website here. Jaded Palates is all about having fun with fun. Whilst we do have two shops and an online store, we like to think we are more a service business than retail. We hold a lot of events, tastings, food and wine pairings, educational talks to encourage people to see wine as fun and enjoyable, and not intimidating. We get so excited when a customer says to us "oh wow, I never would have thought that. You've really opened our eyes to this whole subject!". That gives us goosebumps! Being a part of a couples' special day is very exciting. Let's face it, wine is one of the fun parts of any wedding. Whether that's just an easy-drinking sipper bottle of something simple with your meal, or a carefully matched series of wines for each course your caterer/chef have prepared for you, we think wine should be one of the enjoyable things you should be planning, not worrying about it. What advise would you give to bridal couples when thinking about their wedding wine/drinks? Make sure you try it before you buy it! And don't be afraid to consider more unusual things - I've provided off-dry white wines for a couple who wanted mostly reds with their spicy Mexican buffet they were planning. They were amazed at how much better they went once we put it to the test! How do you feel Jaded Palates can assist bridal couples in a unique way? Quite often wine is one of the last things people think about when planning a wedding - it's often simply left down to a relative to dash down to the supermarket or Majestic to pick something up. We can actually make that part of the process fun - we'll sit down with you and your caterer to come up with something that everyone is happy with, or even send you samples to try if you're not able to be nearby. Our pricing is very reasonable of course (our house wines start at just £5.50), and we offer full sale-or-return for anything that isn't opened on the day, but that should be standard these days. We're all about helping you and providing that personal touch which you can't get anywhere else. What do you feel is imperative for a wedding wine? There should be something for everyone, firstly. Quite often people will stick to offering one white and one red because that's simplest. But not everyone likes NZ Sauvignon Blanc or Argentinian Malbec. Getting a couple of options needn't be more confusing or expensive. But more importantly, it should just be good! It sounds simple, and everyone's palate is different, but a well-made wine is not always that common. How do you advise couples keep guests happy with their drinks selection? As above really - offer a little variety (as well as perhaps a little information on each wine if they aren't sure - we can help with this, of course! ), and enough of it! You're better off getting too much than too little: you can always return it and you'll only pay for what was opened. How much wine to you allow per guest when totalling up how much is needed? Every wedding is different of course, and it depends on the size: larger weddings are perhaps counter-intuitively a bit easier to cater for, because things average out more evenly. But on the whole, you plan for roughly 1/2 to 3/4 a bottle of wine per person in total. Some won't drink much if anything, others much more. But it usually averages out at around that. Tell us about your shops and what you offer for visitors to them. We're based in small-ish towns in Dartmoor, and very much part of the local communities we serve. We keep our selection purposefully quite small - choice is often far too intimidating when it comes to wine in my view. Why have 25 wines from the same region and leave the choice to the customer? I see our job as partly being to pick the best and put them on display, so that no matter which bottle is picked up and taken home, it will be really good. 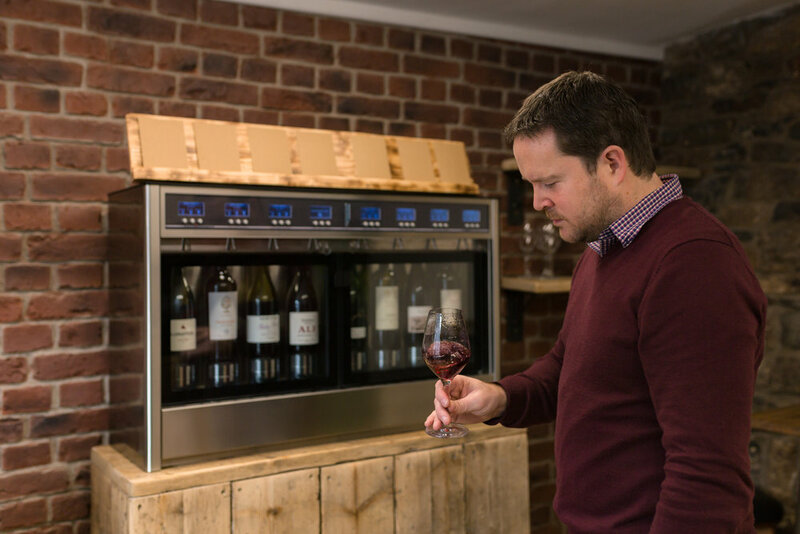 We do a lot of tasting events in store, and in Ashburton, we have a tasting room with 16 wines in dispensers permanently for people to try. It's often a great starting point for a hen or stag night too...! Seriously?! I get to talk about wine all day every day. What is not to like..?! Back in May 2017 we were lucky enough to host the wedding of Nikki & Ant, a couple who wowed us with their creativity and style. As a stationery designer that we adore (you must take some time to browse Nikki's Knots & Kisses website), we knew the day would be a masterclass in colours and design, but it was also packed with personality, love and so much laughter. It gives us great pleasure to relive the day with Nikki, and Clare Kinchin's beautiful images. What were your reasons for choosing Coombe Trenchard? 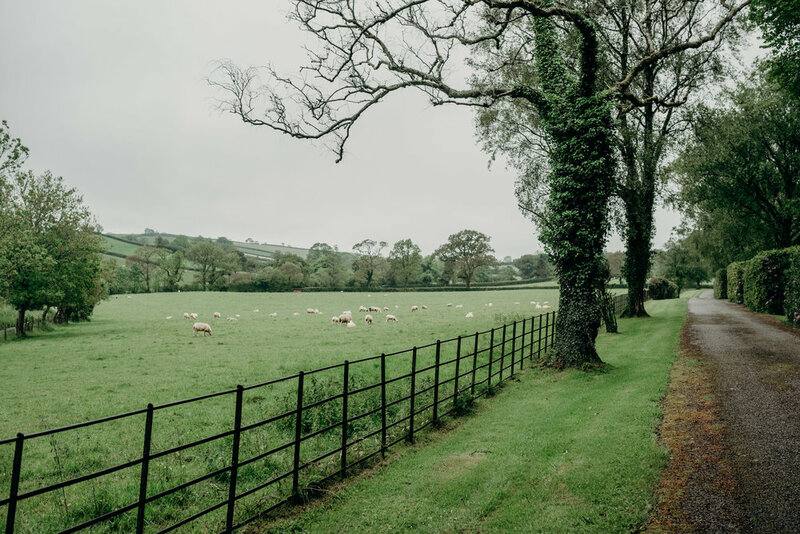 I first discovered Coombe Trenchard when we first moved to Devon and I was looking to connect with fellow wedding suppliers in the local area. I popped along for a chat with Sarah and she fed me the most amazing shortbread and showed me round her beautiful house and I was pretty much hooked from then! When Ant proposed Coombe Trenchard went straight on to the shortlist of 5 venues I thought we should see. I was happy for Ant to make the final decision though as all 5 I had shortlisted were venues I knew, had worked with and loved so it was really difficult for me to look at them objectively. Ant fell in love with Coombe Trenchard immediately and we both loved the relaxed atmosphere and stunning surroundings. It combined both of our love of historic buildings and architecture without being too big or ‘grand’ and it made for the most amazing relaxed and fun day! Where did you find your inspiration? When I’m designing for a client I always start with asking them about the things they love in general. I like to see how they live and how they decorate their house. I think this shows a lot about a couple’s personality and it should always be this that show’s through in their wedding. Fortunately Ant and myself had just bought a renovation house in Torquay and were already discussing colour schemes so we ended up picking a colour scheme which was based on our lounge and dining room! Navy and dark wood are our favourites and I adore blush pink and dark pink reds and burgundy’s, so this is what we went for. What are your top supplier tips? Be organised and understanding! Most of the suppliers in the wedding industry are small businesses who are working all the hours to try and make your day amazing so being friendly via email or phone goes a long way. I’m a natural stress head but I tried to be as nice and friendly as possible to all my suppliers even if I was stressing out! Having all the information they need to hand and making decisions quickly I think not only helps suppliers but yourself. Stressing for hours over tiny decisions which in the end won’t be noticed on your wedding day is not good for anyone’s mental health! I tried to make decision as quickly as I could. We have two which we have discussed at length since the day! Firstly our ‘first look’ before walking into the ceremony room together. We had the music start up and I walked down the stairs from the bridal suite and Ant met me at the bottom of the stairs before then walking to the front of the hall. This was the best decision ever … it was incredibly emotional and it actually made us both much less nervous about walking in in front of everyone as we were hand in hand. Secondly was half way through the day when we asked all the guests to join us on the second terrace for the evening reception part of the day. None of the guests had any idea there was going to be whole other area for the evening and seeing their faces when they walked through under the clock tower and realised there was another area with photobooth, band and pizza van was amazing! What advise would you give to future Coombe Trenchard bridal couples? Also have a separate wet weather plan just in case – you’ll be far less disappointed on the day if you do. We ended up not needed ours but it was raining the morning of the wedding so I’d convinced myself it was wet weather plan anyway!. What is your tale from the other side? We absolutely love being married but it was never the be all and end all of our relationship. Make sure you love and enjoy your day but realise that the ceremony is the most important thing and everything else is just a beautiful bonus! Dress: Needle & Thread, with embellishments from Abidemaids and hair piece from Kye Tew Jewellery. Shoes Rachel Simpson Shoes. I am a creative photographic storyteller, capturing weddings, events and people in a unique and individual way. CREATIVITY…I feel so inspired by my friends in the wedding industry, either by other awesome photographers or stationers, dress designers and stylists. Its wonderful being surrounded by creative people it adds to my own work and passion to explore new ideas. Relaxed Elegance Erk thats 4 sorry! I'm an outdoors girl so the wooded area of Coombe Trenchard is a natural draw for me. The dining area with the buffalo skin covered walls is an incredibly sumptuous and interesting backdrop for bridal portraits. What advise would you offer to couples when choosing their photographer? Think about your own personal style and choose a photographer that you think could best reflect that, I find a lot of my clients are similar to me, so we click! My couples often laugh and say they have been stalking my work for the last year. GREAT….do your research. Try not to make a decision based on budget alone….I know thats tricky as everyone has a budget, but your photographs are with you for a lifetime and longer not just for the day its definitely worth investing. Arrange a meeting or SKYPE meeting to say hello to your photographer. Look at complete weddings not just the edited good stuff from a selection of weddings. Go with your gut feeling its usually right. Do you recommend having an engagement shoot, and if so, why? YES,YES, YES, an engagement shoot is such a valuable exercise. Most couples are nervous about being in front of the camera, this is a great way to meet your photographer and find out how it all works, most of my couples actually enjoy the experience and love the photos. I treat engagement shoots a little mini adventures, we head out to a pre planned location and get to know each other and take some pictures at the same time. It leaves you with one less thing to worry about on the day. What do you feel is important when capturing a wedding day? Weddings are filled with all sorts of emotions and thats what I look for first and for most. Relationships between couples, family members and friends are amazing to capture and are so important in the storytelling. I love photographing the couple the most but I also work really hard to get an amazing record of your guests enjoying themselves, the details, the venue the environment and your family. Meeting and connecting with people…clients often feel like friends and its actually quite sad when the wedding is over and the albums have been delivered. Im a big believer in PEOPLE and while my industry and its technology is insanely brilliant, I am a people person and being able to deliver images that make my clients cry (in a good way) is the most rewarding part of my job. We implore you to take a look at some more of Clare's beautiful work on her website here. In the second instalment of our supplier chats, we caught up with Harriet de Winton from the de Winton Paper company to discuss her work and get some advice for couples looking for some invitation wow-factor. Harriet creates truly dreamy stationery and we absolutely adore her Instagram stories (the most beautiful step-by-step watercolour inspiration - watch them!). So sit back with a cup of tea and enter the magical world of de Winton. de Winton Paper co. specialises in bespoke hand painted watercolour wedding stationery. Apart from cake...I really love the couples I work with and getting to know them during their wedding planing process. What aspect of your stationery do you feel best fits Coombe Trenchard? I paint a lot of botanical studies; flowers and plants for my stationery, Coombe Trenchard's gardens are a wonderful wealth of inspiration. My stationery style, although modern in terms of design, has a real fondness for classic elegance, something that is in abundance at Coombe Trenchard. What colours/styles do you see being a big hit in 2018? I'm not really led by trends but I really enjoyed the greenery trend for this year and I hope to see it continue. Next year is certainly looking a little more tropical! What advice would you give to bridal couples looking for their perfect wedding stationery? There will always be a wedding supplier out there who is perfect for you and can achieve your stationery dreams. Look around, and don't settle on the first thing you find. When do you advise sending out Save The Dates and Invitations? It all depends on the nature of your wedding. Do you have lots of overseas guests? If so I would bring everything forward by a few months but on the whole my general rule is just shy of a year for Save the Dates and then 3 to 4 months for Invitations. What do you feel is imperative to making stand-out stationery for your clients? The most important thing is to make the couple the focal point of inspiration. It needs to represent them as a couple and give guests an exciting first glimpse of what the wedding will be like. Painting. It really is the best job in the world to get to paint all sorts of commissions and see my couples' reaction upon receiving their stationery. Thank you for taking the time to chat to us Harriet! We implore you to discover more of Harriet's work on her website (the cocktail prints are perfect gifts for Christmas) and her instagram.